There are many factors involved in creating a citizen science program. In this article we identify the six key elements that lie at the heart of the most successful citizen science programs. In other words, before you roll out your program you need to ask yourself 'what will happen to the data that people record through our program?' If the answer is that it will be used by scientists or environmental managers to assist in research and/or management decisions – congratulations, you are creating a citizen science program! 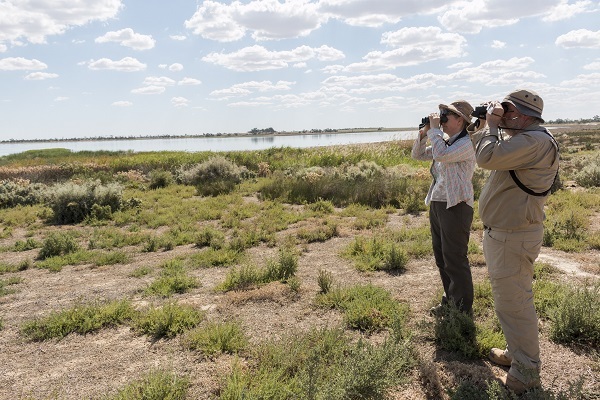 Many citizen science programs share their data on a platform such as the Victorian Biodiversity Atlas or the Atlas of Living Australia, which allow other scientists and managers to use it for conservation or land management. If, on the other hand, you don't have an end use in mind you may have created a fantastic community education program – it just won't be citizen science. The need that your program addresses will drive your choice of program design. For example, if you are aiming to add capacity to research teams you might choose to conduct small group expeditions, while an app may be the appropriate solution if you are interested in collecting large quantities of data across a wide area. Before you go any further, stop at this point and ask – is another organisation already doing this? Currently, the Australian Citizen Science Association's Project Finder lists no fewer than 605 different projects across Australia. If you can find one that's suitable to your project this will save you a lot of time and effort, and potentially allow you to contribute to broader scientific research or conservation management. Another benefit of this process is that you can contact organisations who have developed similar programs in the past, who will often be happy to help you with useful advice or share some of their work. If you are developing an app this could even include their source code, which will save you and your developers a great deal of time and money. An example of a successful app that's been developed this way is Goulburn Broken CMA's 'I spy Catchment Creatures', which is based on North Central CMA's NatureBlitz app. Just like any other successful project, effective citizen science programs are based on well-defined goals, objectives which are SMART (Specific, Measurable, Achievable, Relevant and Time-Bound), realistic timelines and budgets and effective evaluation methods. Another useful resource is the Australian Citizen Science Association's '10 Principles of Citizen Science'. It's easy to fall into the trap of assuming that a well-designed program will automatically attract participants, however given the vast number of things competing for people's attention (did we mention the 605 other citizen science projects on offer?) a communications strategy is essential. Recruiting community members to act as program monitors: This approach has been used very successfully by programs such as Waterwatch and is especially useful if you are planning to collect data at set locations over time. Engaging existing community groups:This is similar to recruiting individuals, but with the additional benefit that it connects you to people who would not normally take part in an environmental or scientific program. Working with schools: This has the same benefits as engaging community groups, but even more so, as each school can provide you with dozens (possibly even hundreds) of potential volunteers. The downside is that there may be concerns about the validity of the data students collect – fortunately by using a free citizen science apps available you can get around this problem by enabling the students to collect hard evidence in the form of time-stamped and geotagged photographs. An effective communications strategy also involves sharing results. Remember that people take part in citizen science because they want to contribute to science and conservation, so showing them how they have helped with your management efforts is a great way to keep them involved and to motivate them to participate in the future. The Arthur Rylah Institute can provide advice on project design, scientific input into your program and advise on using your data effectively. The Victorian chapter of the Australian Citizen Science Association, who can advise you about existing projects, as well as events, forums and networks where you can connect to other people working on citizen science. And of course, the Victorian Environmental Water Holder. If you have any plans or ideas that relate to citizen science and water for the environment, please don't hesitate to contact us. If you're interested in citizen science and would like to know more, check out our article on some great 'off the shelf' apps you can use to engage your community.